In natural brain organization, primitive reflexes are integrated naturally at a very young age. It’s always great to learn that more people are teaching others how retained primitive reflexes and underdeveloped lower centers of the brain are linked to potential. But I recently came across a site that made me cringe. Thrown in as part of a larger, more comprehensive program (which was the main focus of the site), the primitive reflex example activity was alarming—to say the least. It was a short video that showed how to do one of this program’s primitive reflex activities. No problem with that. However, there was nothing about the example that was congruent with how primitive reflexes are actually integrated. Yet how would a parent know differently? So here’s my concern with programs and individuals (e.g. I know a piano teacher who started having her students do primitive reflex movements) who add this component to what they already do. We could have a child with retained primitive reflexes who, in good faith, follows whatever that program or person has instructed—regardless whether doing so actually integrates retained primitive reflexes. However, if the child does not progress, the parents will likely conclude it’s either not possible to integrate primitive reflexes or their child is so underdeveloped that nothing ever works. Yet, both conclusions are flawed if the child was never doing the movements in a way that actually parallels natural brain organization. But here’s what really breaks my heart. This very important puzzle piece for so many kids is now crossed off a list of possibilities to explore. In other words, the next time retained primitive reflexes are ever brought up, those parents are probably no longer receptive. It’s also my experience that people and programs who throw in a “little primitive reflex work” often additionally omit the necessary creeping and crawling components that need to happen in conjunction with integrating primitive reflexes. Or, this latter component is also haphazardly thrown into the mix so that it, too, is not done in a way that yields maximum results. At Brain Highways, it takes us two, comprehensive 8-week courses to teach what we find necessary for parents to learn in order to confidently and successfully facilitate their child’s primitive reflex integration and development of the lower centers of the brain. This latest site (with the concerning video) was not the first time I’ve come across a program or someone claiming to integrate primitive reflexes and develop lower centers of the brain (i.e. the pons and midbrain) in a way that differs greatly from what I know to yield results. Since we have 13 years of experience at Brain Highways and have now taught nearly 5,000 participants how to develop their lower centers of the brain with great success, I thought it might be helpful to parents to know what to look for when evaluating such programs or following other people’s lead. 1. The patterning always reflects how babies naturally do the movement. For example, any program that suggests doing the reflex movements in a standing or sitting position has strayed greatly from how it’s done in natural brain organization. 2. Kids are never “taught” (via verbal directions) what to do since young babies do these movements innately—without any instruction. 3. Parents learn how to “physically pattern” their kids to do the specific movements, but just until the brain recalls what it’s already wired to do automatically. 4. Parents learn how and when to peel back their role so their kids ultimately do the reflex movements independently. If the program does not include how to move towards independent patterning, many kids will remain passive (requiring multiple people to always pattern them) and, again, participants will not be doing the movements independently as babies do in natural brain organization. 5. 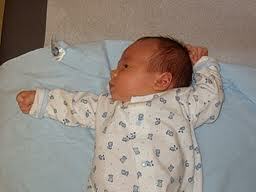 Parents also learn how to initially break down a reflexive movement if their child’s body goes rigid while patterning. This is important since the brain will just “shut down” if it’s overwhelmed and/or patterning is forced. 6. Since the hands also play an integral role in the movement, nothing is ever placed in the child’s hands while doing the patterns. 7. There is a natural sequence to introducing specific reflex movements (so be wary of approaches that require kids do everything all at once). 8. In order to yield maximum results in the least amount of time, most participants initially need specific feedback on how they’re patterning their kids In other words, just watching someone do the movement live or by video or reading explanations and viewing diagrams won’t suffice for most parents. In some cases, we’ve even seen dramatic detours from what was modeled. Without immediate feedback, those participants would have wasted a lot of time, or worse, may have never figured out that they weren’t doing the movements as intended. 9. The reflexive movements are done gracefully (not at rocket speed), and body parts are synchronized. Again, parents learn how to ensure this happens. 10. In regards to lower brain development, primitive reflex movements can be thought of as the input, whereas creeping and crawling can be thought of as the output. Therefore, if a program only includes primitive reflexes—without a creeping and crawling component—the child is only participating in some of the movements that develop the lower centers of the brain. 1. Specific clothing attire and flooring makes it much easier to creep (the primary movement that develops the pons). In contrast, certain clothing and flooring hinders the process. Therefore, programs need to specify all of the above so that participants maximize their time on the floor. 2. As with the primitive reflexes, participants are also never taught how to creep or crawl. Doing so would engage the cortex in the process—and, therefore, not develop the pons or midbrain. 3. Since participants are no longer babies, they may inadvertently use their cortex and other parts of their body to compensate when trying to creep or crawl—but that (again) will not develop their pons or midbrain since babies would not have such options. So, programs and individuals need to address how participants may unknowingly compensate and how to ensure this does not happen. 4. Since the idea is to go back and finish what was not developed during the first year of life, there is a natural sequence as to when to introduce what movements. So be wary of programs that have kids both creep and crawl right when they start. 5. Initially, creeping must be done daily, rather than just a few times a week, as this ensures early pathways are solidified. So also be wary of programs that claim kids just need to creep 5 to 10 minutes a week. Of course, there are other key components to include that ensure success, such as getting compliance (many kids with retained primitive reflexes are wired to go into a fight or flight response when they don’t want to do something). We also find it’s important to teach the kids why they’re doing this brain work, and we additionally know it’s more than possible to make this important work . . . lots of fun! And . . . there is yet one more concern when programs or individuals only offer selected pieces of information about lower brain development. When the brain first starts to organize itself, some kids go through a brief regression period. So programs and individuals that do not address this or teach parents what to do if it happens do a great disservice to families. This is also why it’s never okay for kids to randomly do patterns or creep and crawl at school or at some other organization without parent knowledge or understanding of the whole process. In short, messin’ with brain development—without fully understanding and implementing all its components—can be risky businesses. Worst case scenario, it might go as the saying suggests: A little knowledge can be a dangerous thing. Best case scenario, results are limited and unpredictable. But most importantly, both scenarios can be avoided since it’s possible to teach families everything they need to know.